What size do I enter? Only JPEG, JPG File types allowed. PREVIEW ONLY - WE DO NOT PRINT THE IMAGE. 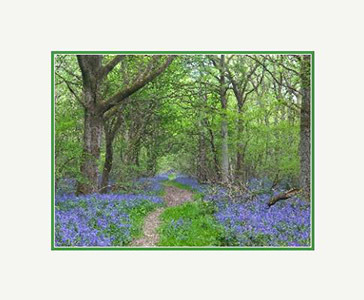 You may upload an image to preview how it will look in different frame/mount combinations, however you will not be ordering a printed image from us unless you use our Print and Frame service. 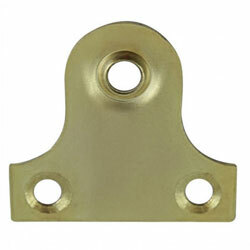 If required, select a single or double mount above. Premium quality acrylic glazing which offers higher light transmission properties & better UV protection when compared with standard glass. Our default/standard option and suitable for everything that requires glazing. UV protection greater than 99.7%, Light Transmission of over 92%, No Inherent Colour(such as greenish or greyish tinge) and increased break resistance - Data Sheet. Anti Reflective has a diffused finish and WILL reduce the clarity of the artwork by making it duller. We only recommend this glazing if you specifically need to prevent glare and reflections, i.e. your picture is in a window or close to a light. Anti Reflective Glazing is not recommended if you are framing with a mount as it will be spaced away from your artwork which reduces the clarity further. UV protection greater than 99.7%, Light Transmission of over 92%, No Inherent Colour(such as greenish or greyish tinge) and increased break resistance - Data Sheet.. 50% thicker than our standard clear acrylic. Suitable and recommended for any valuable or irreplaceable artwork. Reduce the cost by having no glazing(glass) included. Some types of art such as oil paintings, are commonly framed without any glazing in front of them. EconoSpace is a neutral pH plastic "peel & stick" type art-glass separator that bonds to the edge of the glazing in a picture frame. 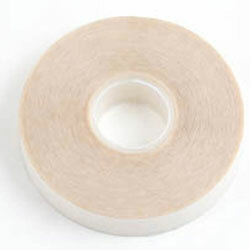 This is used to make the proper airspace between the art and glazing in either wood or metal picture frames. This airspace helps prevent mold growth, paper buckling, image transfer and adhesion to the glass. It is available in 2 sizes including 6mm airspace and 0.5mm airspace and both sizes come in black and white. 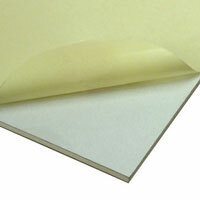 EconoSpace can be used to frame photographs, watercolors, pastels, any paper art or document. 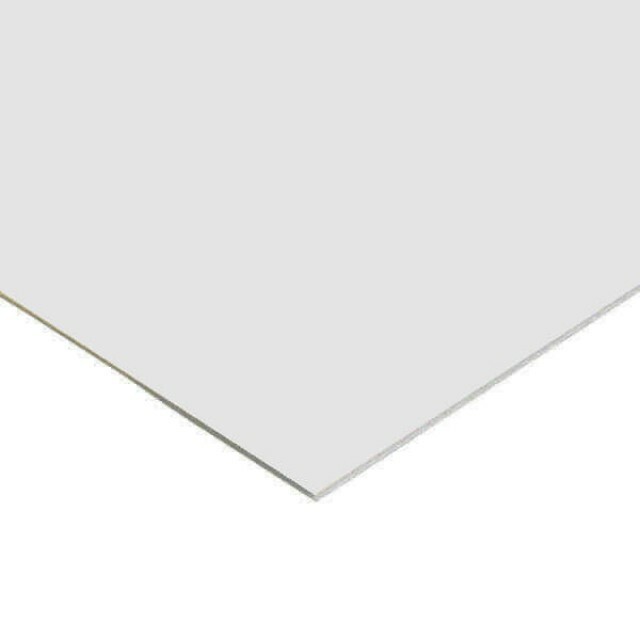 Useful when framing an embossed or heavily textured print, a small 3d object or when you need to prevent contact between the artwork and glazing. Supplied cut to the frame size and with self adhesive tape along one edge, you will find the frame spacers loosely fitted inside the frame so that the black flexible tabs holding the MDF backing board in place can be positioned at the correct height. You would need to fit in position once you have prepared the glazing in the frame, and before the artwork is fitted. To fit them in position you would need to have the glazing inside the frame with the film peeled off from both sides. 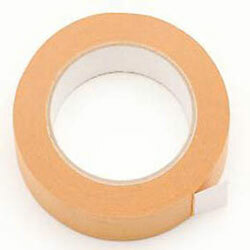 After peeling off the self adhesive film cover, the spacer can be fitted into position directly on to the glazing. 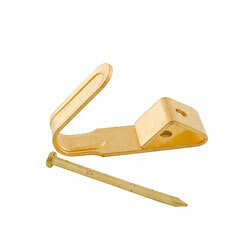 The frame spacer options are only available when selecting a picture frame with a suitable rebate. If you amend the frame style after selecting a frame spacer option it be be automatically removed if the updated frame style doesn't have a deep enough rebate. We all know that a picture is worth a thousand words, and nowhere is this truer than with a photo, picture or piece of art displayed on your home's walls. A carefully selected picture can add an artistic flourish to a room or happily remind us of family members and other loved ones. And a picture frame can help draw attention to any image you choose, while complementing the rest of a room's decor and reflecting part of your personality. When entering a room with tastefully placed framed pictures, you can feel comfortable and visitors are sure to notice your unique choices. But picture frames need to be made of high quality materials, suit the interior design of the room they're placed in and frame the image they hold perfectly; otherwise, they won't make the impact you desire - which is where EasyFrame comes in. Here at EasyFrame, you can choose the exact size, style and material of frame mouldings to suit your requirements, but you do need to ensure you measure your artwork correctly and understand what you are ordering. Therefore we encourage you to read through are intuitive instructional sections that will hopefully prevent a costly mistake. Remember, any custom made product manufactured by us is made to your exact specification and is not eligible for a refund or exchange. Ordering online from us is the perfect option for the huge majority of straightforward framing jobs. However, it isn't the right option if you have read these instructions and still not sure what to do, or if your framing job is more detailed than just using a frame and mount. We can offer basic advice and general facts, but we can't measure your artwork for you and we can't offer advice specific to your requirements. If you are not sure, please, please take your artwork to a reputable local picture framer who I am sure will be more than happy to assist. What Sizes Do You Enter? We refer to the item you are framing as your artwork, and it is assumed you have considered and prepared your artwork before getting to the measuring stage. Check out our detailed measuring information page which includes illustrations of common types of artwork and how they should be measured. For the huge majority of our customers, the rule is simple - just enter the size of your artwork, and our website will calculate all the other neccessary measurements. These basic principles are industry standard, and will almost certainly be the same for any other online framer or High Street framing shop. 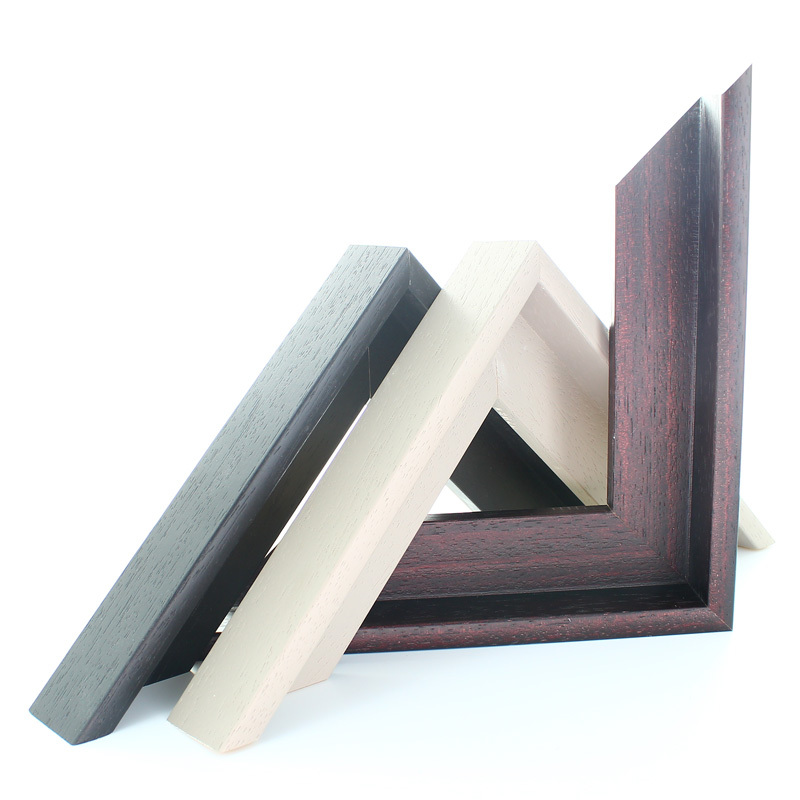 If you are ordering a frame only, the size you enter will always relate to what fits inside the frame opening at the back. 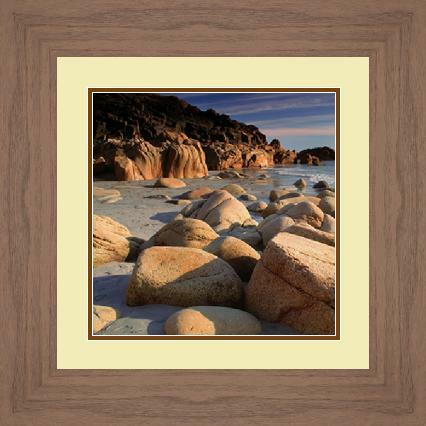 If you are ordering a frame and mount combination, the size you enter will relate to the opening of the mount. And finally, always correctly measure your artwork yourself. Never rely on sizes detailed on a website or the packaging of a print, as they will most likely be rounded up or down. You also have the option to upload a digital file of the image you wish to frame. This will help you envisage how it will look with different frame and mount combinations. This is just a preview, we do not print the image nor to we make any suggestion that we will print the image unless you use our Print and Frame Service. What Is A Mount And Do You Want One? A mount is the coloured surround that goes around your artwork before being fitted inside the wooden or metal frame surround. Although a mount is optional it is recommended as it will visually enhance the artwork being framed and add conservational properties by spacing the artwork from the glazing. A mount is not recommended for any item that is framed without glazing, such as an Oil Painting. The images below show a graphical example of how the same image with look with and without a mount. If you opt to have a mount you can select between one or two layers(single or double). By selecting two layers you will create a double mount that can be the same or contrasting colours. The general rule is that the bottom mount would be a darker colour which picks out a dominate colour in the artwork, whilst the top mount would be a lighter, neutral colour. If you do not require a mount just select "No Mounts". The border widths can be increased or decreased by changing the value in the relevant boxes for each side. Over 90% of the mounts we supply have equal border widths on all four sides, however you can 'turn off' the equal borders switch which will give the option to have 1 or more different border widths. To Take Image Size or Exact Image Size? 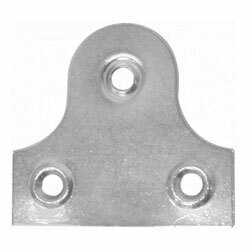 The default option on our website is for us to cut the opening of the mount 4mm smaller than the size entered so the mount will 'take' that image size, i.e. it will just overlap the image. You can change this option so that the mount opening is cut to the exact size entered. Selecting this option means we will cut the opening to the exact size entered. 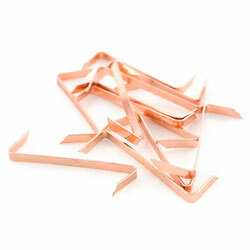 This option is useful for more advanced framers who have already made the neccessary allowances. 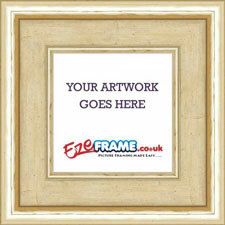 The frame is the wooden or metal edging that encases your artwork and the glazing/backing. 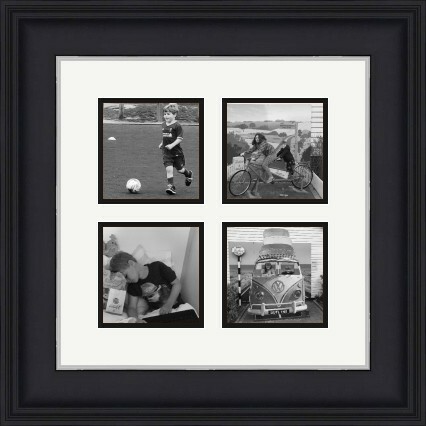 We have a range of around 500 different frame styles to choose from. To obtain a price for a particular frame just click on the moulding image and check the price above the visualisation or in the order review. Every frame is priced differently and we have tried to cover all budgets from very basic/simple frames to beautiful hand finished mouldings fit for any masterpiece. Some mouldings are not suitable for larger frames and therefore each moulding has a limit to how big we can make the frame. 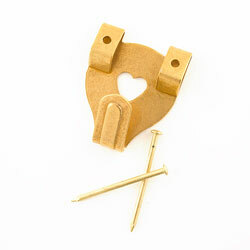 Our website will automatically remove moulding that we deem unsuitable for the sizes you enter. 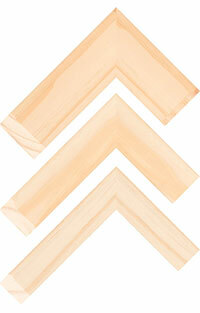 Therefore you cannot order very thin wooden profiles for large frames as they will simply fall to pieces. You can use the sort options to arrange the moulding types by price or width to make searching for your perfect frame easier. Click on the icon by each moulding name to view all the information available, including width, height, rebate depth and material, as well as more images. Please note that the moulding rebate will overlap the glazing, artwork & backing to ensure it doesn't fall out. The rebate overlap does vary between moulding but it is approximately 5mm. You also have the option to order a small sample selection by clicking the 'Order Sample' link in the detailed information window. 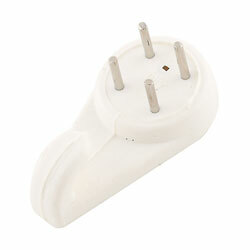 A small charge is applicable for samples to cover our postage costs. Hopefully every moulding you can see is available and in stock as we remove all moulding which are out of stock using an automated system which updates every 30 minutes. 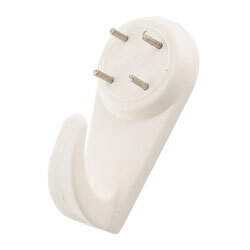 Discrepancies are very rare but we will contact you with options if a moulding is out of stock. The glazing, aka glass, is the protective front that covers your artwork, and is essential for the majority of framing work. 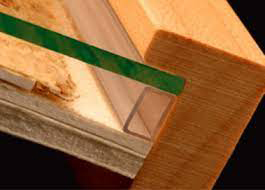 At EasyFrame we use high-quality, shatter-resistant acrylic to glaze our frames. We believe it is superior to glass for picture framing in many ways, as it is clearer, doesn't appear green in the light, and offers a higher level of UV protection. It's also far more lightweight, which means your frame will be easier to handle, hang and store. 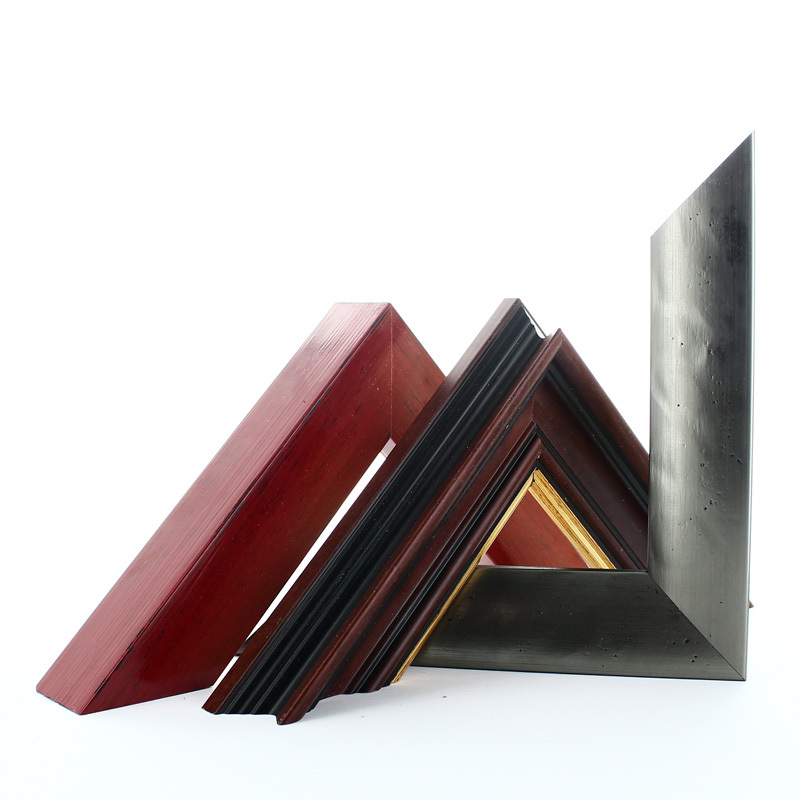 We offer four different glazing options for your custom framing work. 1.8mm Clear Acrylic Glazing - Premium quality acrylic glazing which offers higher light transmission properties & better UV protection when compared with standard glass. Our default/standard option and suitable for everything that requires glazing. 2mm Anti Reflective UV100 Plexiglas Gallery - UV protection greater than 99.7%, Light Transmission of over 92%, No Inherent Colour(such as greenish or greyish tinge) and increased break resistance - Data Sheet. Anti Reflective has a diffused finish and WILL reduce the clarity of the artwork by making it duller. We only recommend this glazing if you specifically need to prevent glare and reflections, i.e. your picture is in a window or close to a light. Anti Reflective Glazing is not recommended if you are framing with a mount as it will be spaced away from your artwork which reduces the clarity further. 3mm Clear UV100 Plexiglas Gallery - UV protection greater than 99.7%, Light Transmission of over 92%, No Inherent Colour(such as greenish or greyish tinge) and increased break resistance - Data Sheet. 50% thicker than our standard clear acrylic. Suitable and recommended for any valuable or irreplaceable artwork. No Glazing - Reduce the cost by having no glazing(glass) included. Some types of art such as oil paintings, are commonly framed without any glazing in front of them. Please do not be put off by the term 'Acrylic'. We do not use cheap styrene glazing commonly found in frames imported from the Far East and sold by budget department stores. Our standard 1.8mm Clear Acrylic glazing is far superior to normal glass in many ways. It is visually better than glass by offering a higher level of clarity and it also offers a far greater level of UV protection. We do not supply glass with any frames that are sent via courier due to the increased risk of breakage. If you are opt to collect your frame from either Bedford or Kettering we will be able to supply glass providing you email this request as soon as your order has been placed. If ordering a custom picture frame, it will be supplied with everthing you require to fit your picture into the frame and attach the hanging accessories to the back of the frame. 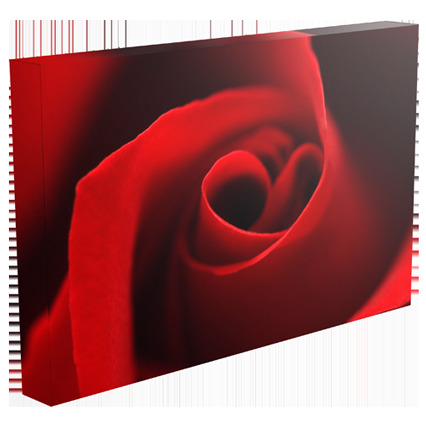 Some types of artwork, such as Oil Painting may require additional fixing, and you will require wall fixing such as the hook and pin sets available on our website. 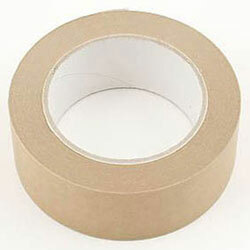 These tapes and accessories will help create a professionally finished job but are not essential. Kraft tape is highly recommended to seal the back of the frame once the artwork has been fitted. Sealing the back of the frame with provide a more professional look as well as adding additional security and strength to the frame. 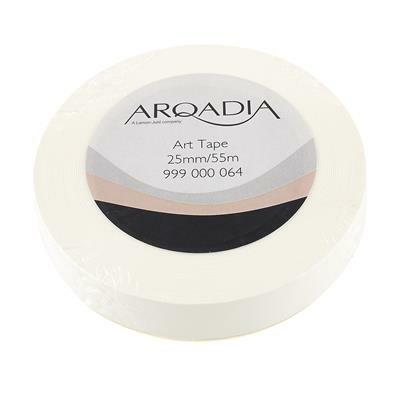 Ph7-70 tape and Conservation Barrier Board is recommended for all artwork, but in particular any artwork that carries any value. The tape is used to hinge the artwork to the mount, whilst the barrier board is used to create a barrier board between the artwork and the MDF backing board. Some of these optional extras are only suitable for certain frames. These options will be removed from any orders should you change to an unsuitable frame style. 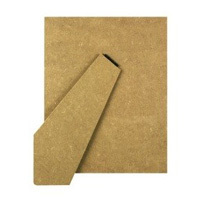 Foamboards and spacers are only suitable for frame with a rebate depth of 20mm or more, and the stand up back option is only available for frame size 320 X 320mm or smaller. The size you enter will relate to the opening at the back of the frame, i.e. what fits inside the frame such as the backing and glazing. You should enter the exact size of the item your are framing after considering any alterations such as trimming off a white border. The frame will be manufactured so the artwork fits perfectly into the opening at the back of the frame. The lip(rebate) of the frame will overlap the internal contents (Glazing, Artwork, Backing, etc) by approxiamately 5mm on each side. Therefore the actual visible area from the front will always be slightly less than the sizes entered. 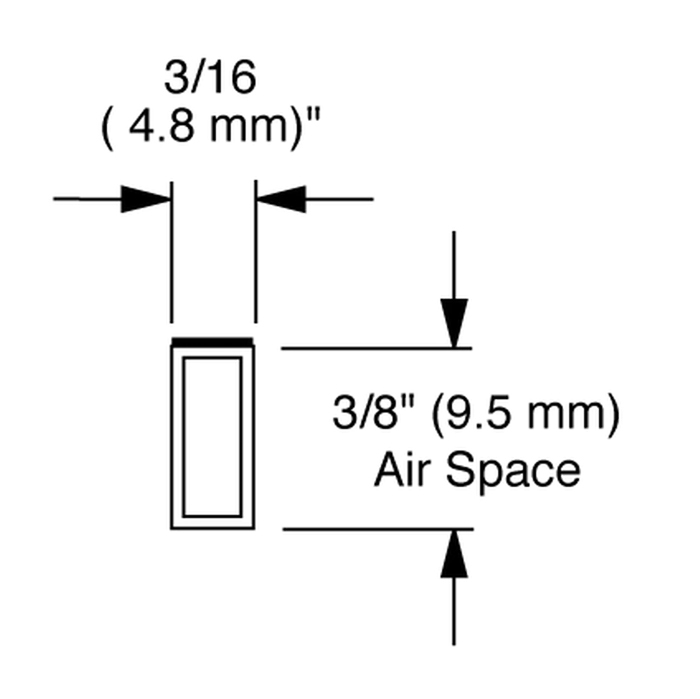 The term 'Frame Size' will never, ever relate to the external size of the frame when used in connection with manufacturing custom frames. The size you enter will relate to the opening in the middle of the mount. If the item you are framing does require a mount you would enter the exact size of the image you are framing. 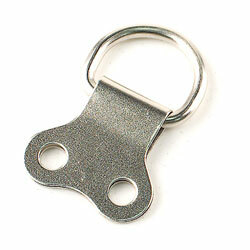 We automatically make a small adjustment to ensure your image doesn't fall through the middle of the mount. As an example, if you enter 500 X 400mm as your sizes, the actual opening of the mount supplied would be 496 X 396mm to ensure a slight overlap of your image. However, our website also has the option to have the aperture cut to the exact size entered. This is a useful option if the item you are framing doesn't need to be overlapped or you have already considered the overlap you want. 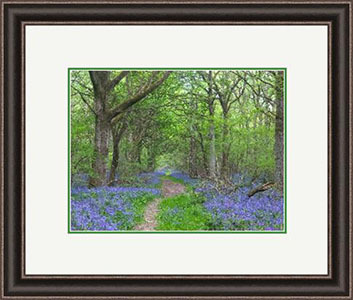 The frame size will automatically be adjusted by our website depending on how wide you set the mount borders to be. Our full measuring guide can be found here.